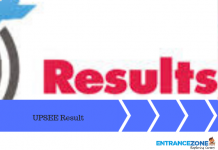 Recommended VITEEE 2019 Books: VIT University conducts VITEEE 2019. The exam dates will be tentativily in April 2019. The type of questions asked in VITEEE 2019 is similar to that of JEE Main 2019 but there will be no negative marking and may be relatively easier. But, candidates should have a thorough and in-depth understanding of the concepts taught in NCERT Class 11th and 12th. Also, there are some books that are recommended to the students for better understanding of difficult topics. Therefore, candidates are advised to solve maximum problems from these books as well. Syllabus for almost all the famous Engineering exams such as JEE Main 2019, VITEEE 2019, BITSAT 2019, etc. are same. Aspiring applicants can thus choose from a set of books and prepare for all the exams. So, candidates can see the list of Recommended VITEEE 2019 Books in the article given below. The recommended maths books list are given here for reference only. Candidates should also practice from books containing a lot of sample question papers from Arihant Publications, etc. They are a very useful source for preparation of VITEEE 2019. 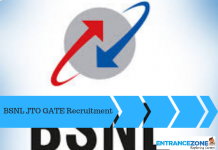 Candidates can also solve special question banks designed for VITEEE 2019 by Disha Experts. For VITEEE 2019, NCERT books are sufficient. Candidates can use the above-mentioned books for solving more questions such as H. C. Verma. They can also use it for understanding a concept better. Chemistry is all about memorising Chemical equations in Inorganic Chemistry, Formulae in Physical Chemistry and Chemical Structure, etc. in Organic Chemistry. Candidates should thus extensively focus on NCERT Chemistry. No question is expected to be asked from outside NCERT. For reference, such as solving more questions in Physical Chemistry, Candidates can read the above-mentioned books. There are thousands of books available in the market, but candidates are advised to stick to the main books. They are advised to solve as many questions as they can to prepare for VITEEE 2019. Candidates can buy VITEEE Books that have a lot of last year’s paper and sample papers. There are many publications such as Arihant Publications, Pearson Publication, who publish such books. Syllabus for VITEEE 2019 is almost similar to that of JEE Main 2019. 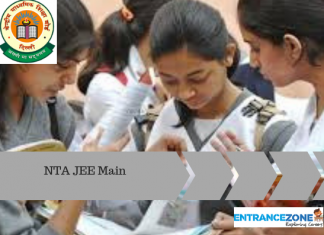 Thus its preparation can be done alongside JEE Main 2019. Candidates can see more details regarding Recommended VITEEE 2019 Books at EntranceZone. Previous articleHow to prepare for VITEEE 2019 (VIT University Admission Test)? When we will get the updated information? Vanshika Khurana, I am sorry but what information do you need? We have already uploaded the important dates, changes in rules and steps to fill the online application forms. You can search for VITEEE on EntranceZone. For any more details, you can comment. which section to focus ore on? In VITEEE, most of the paper is evenly distributed. Inorganic Chemistry is generally more important for this exam. in physics, practice mechanics and electronics and magnetism carefully. don’t prepare only for this exam, prepare in general for all the competitive exams like JEE MAIN, BITSAT and solve sample papers for all the exams separately to get the idea of paper pattern.